Your image is an important aspect of your personality and character. If you'd like to look younger, and in doing so improve your self-confidence, talk with Dr. Miller about cosmetic dentistry. He can close gaps and spaces, brighten teeth, and repair chips or misalignments. In fact, you can enjoy the smile of your dreams, and it all starts with a consultation. 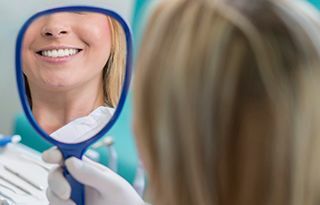 Forest Hills cosmetic dentist, Dr. Miller will meet with you to discuss potential cosmetic techniques that will require major changes to natural tooth structure. He'll work with you to develop a custom smile makeover plan that will accomplish your goals and give you your ideal smile. At your consultation, Dr. Miller will discuss your idea of the perfect smile. The two of you may review photographs and models of smiles that you admire. Then Dr. Miller can address your unique dentition with a custom design for porcelain veneers. In about two visits to our Forest Hills dental office, you can claim the smile of your dreams! Advances in dental materials have provided an esthetic alternative to dark metal fillings. Dr. Miller places custom-shaded resin fillings that blend beautifully with natural tooth coloring. These durable fillings don't contain harmful mercury, either. So they'll leave your smile healthy and beautiful. The doctor can place one or more composite fillings in just one visit. The procedure is minimally invasive, and Dr. Miller often preserves more natural tooth structure placing a composite than he would with an amalgam filling. 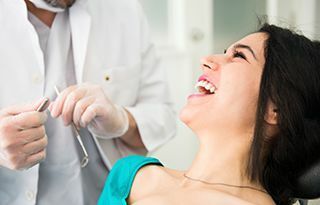 If you have amalgam fillings Dr. Miller can replace them with tooth-colored composites, so you can reclaim your white smile – and your confidence! Direct or cosmetic bonding is a simple, cost effective, one-visit cosmetic solution. Using composite resin similar to the material used as part of tooth-colored fillings, we are able to conceal and correct many oral health concerns. The process is simple. In most cases, very little or no enamel is removed in preparation for the tooth to be corrected. The composite resin is applied, shaped, and hardened into position directly on the surface of the tooth making it fast and effective in repairing chipped, cracked, or gapped teeth. For those patients with staining that is not effectively treated with whitening, direct bonding is a great way to conceal these stains for a flawless smile. In many cases, those patients who’ve considered porcelain veneers are able to achieve similar results in a single visit with direct bonding. It will likely come as no surprise that teeth whitening is one of the most popular cosmetic dentistry solutions available. Every oral hygiene aisle displays a wide variety of whitening toothpastes, mouthwashes, strips, and gels all promising transformative results. Unfortunately, these items are very rarely able to deliver on their promises. Our skilled cosmetic dentist offers professional grade teeth whitening for superior, predictable, safe results. The first step in your treatment process is scheduling a consultation. During this evaluation, we’ll discuss your goals and the likely causes of your dental staining. 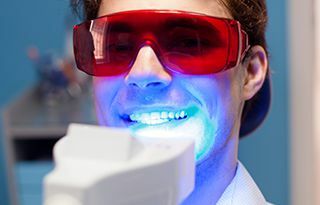 Then, we work with patients to determine the best whitening solution for their smile, and create a plan to improve the appearance going forward.